French President calls for the "necessary respect" of Iran's nuclear deal with world powers in conversation with Netanyahu. French President Emmanuel Macron on Saturday night called for the "necessary respect" of Iran's nuclear deal with world powers. A statement from the Elysee said Macron "remembers the importance of preserving the Iran nuclear deal and the necessary respect by all parties of their engagements regarding the accord." 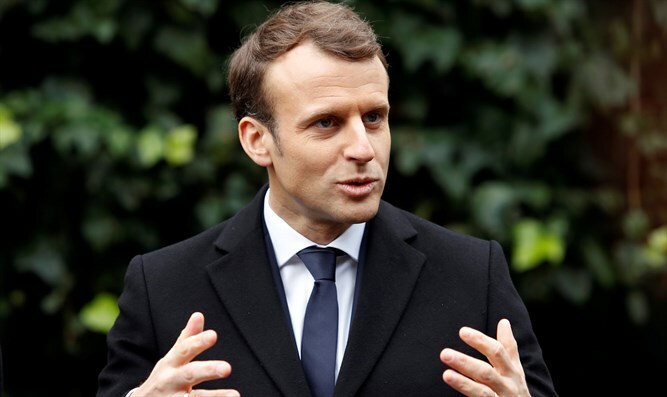 The statement from Macron followed his telephone conversation with Prime Minister Binyamin Netanyahu, in which the Israeli leader urged Macron to change the 2015 deal struck between Iran and the six world powers, France included. Netanyahu's phone call with Macron came a day after U.S. President Donald Trump extended the waiver on Iran nuclear sanctions, but said it would be the last time he will do so, and demanded that European partners work with Washington to "fix the deal's disastrous flaws, or the United States will withdraw." A statement from Netanyahu’s office said he had told Macron that "Trump's remarks should be taken seriously, and whoever wants to keep the nuclear deal would be wise to fix it." European countries have expressed their support for the Iran deal even as Trump has criticized it. France, in particular, has been vocal in its support for the 2015 agreement, saying there is no alternative to it. On Thursday, Macron stressed in a telephone call with Trump the importance of abiding by the 2015 nuclear deal with Iran. Trump, for his part, underscored that Iran “must stop its destabilizing activity in the region,” the White House said.